Madeira just won the first prize as the Best Destination to celebrate the New Year. The runners up are London followed by Berlin. This first prize was awarded by the European Best Destinations (EBD). European Best Destinations is a Brussels based organization dedicated to tourism and the promotion of culture. “We promote a better understanding of the wealth, diversity and quality of European destinations. Speaking to e-citizens since 2009, EBD plays an important role in promoting Europe as the number one destination in the world” Source: European Best Destinations website. Are you fed up with your usual New Year’s celebrations? Come and join us on Madeira Island, Portugal for a spectacular New Year! The festive season is particularly special and worth a visit. Do book your flights and accommodations early. 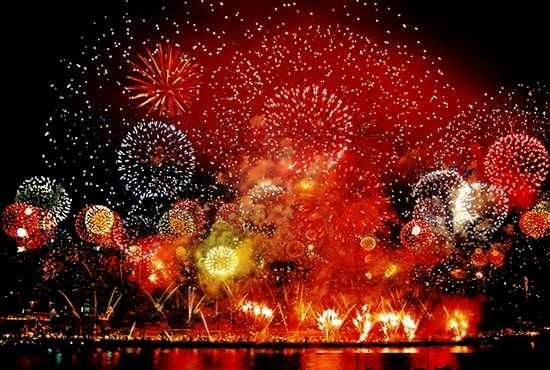 Madeira’s New Year’s Eve fireworks of 2006/07 won the classification as *Greatest Fireworks Show in the World” by Guinness Book of Records. 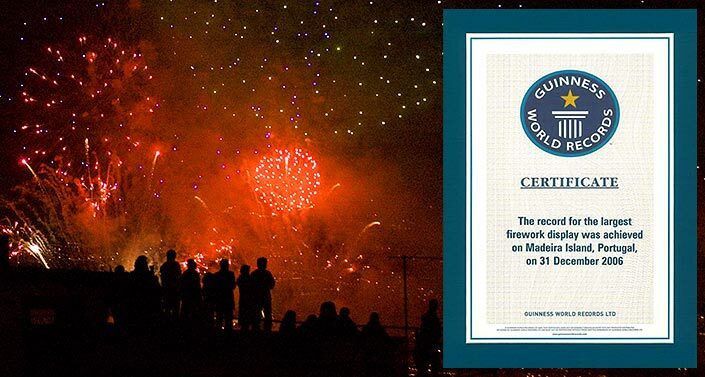 The firework company – Macedo’s Pirotecnia – orchestrated the nearly 10-minute-long award-winning spectacular show. Madeira and Funchal spare no efforts or budget (well over one million EUR) to make this a most unforgettable evening. Guests come from all over the world. The fireworks fire from 37 stations (31 on land and 6 in the ocean). These 37 stations form a 6 km long and 2.7 km wide ellipse in the natural amphitheater shaped bay of Funchal. Best Place to watch the fireworks? Watch the New Year’s fireworks from the sea. Several boats offer outings. Most have a bar, and restrooms. You can find the list here. Those are the same boats as the ones during whale, dolphin and birding excursions during the day. The prices for a +/- three-hour tour including drinks and nibbles is about 100EUR per person. The Lobo Marinho – ferry for Porto Santo – also proposed New Year’s Eve packages. You can also watch the great event from the marina as well as along the entire promenade. Beware, it will be very crowded. Should you want to see the entire firework at once, choose a location off to one side. This will enable you to witness the firework across the entire ellipse. A third possibility to is find a nice viewpoint and picnic in the area or reserve in a nearby restaurant. One such viewpoint is the Miradouro Pico dos Barcelos. However, it is very popular so get there early to reserve your space. 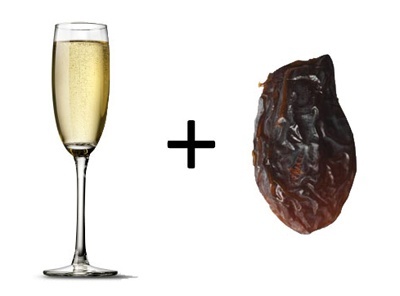 Portuguese traditionally eat 12 raisins at midnight – one at each strike of the clock – and make a wish while they swallow. 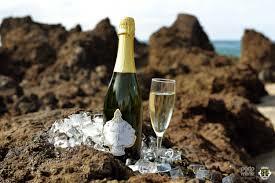 Wash it all down with a glass of Spumante or sparkling wine. A Madeira wine company located in Seixal on the North Coast of Madeira makes the only Espumante “made in Madeira” namely: Espumante Terras de Avô . Why not give it a try?